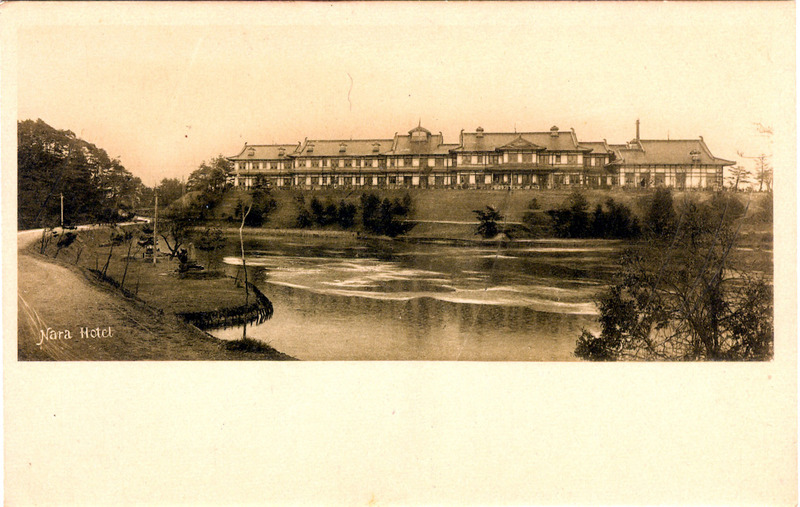 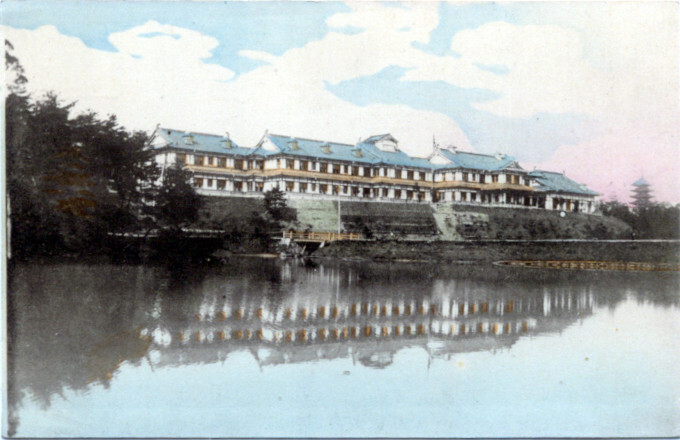 Nara Hotel, Nara, c. 1910. Lounge, Nara Hotel, Nara, c. 1920. 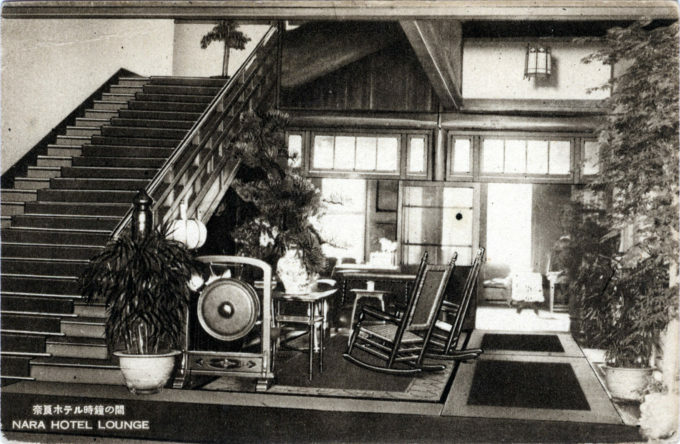 A “dinner gong” sits next to the stairs. 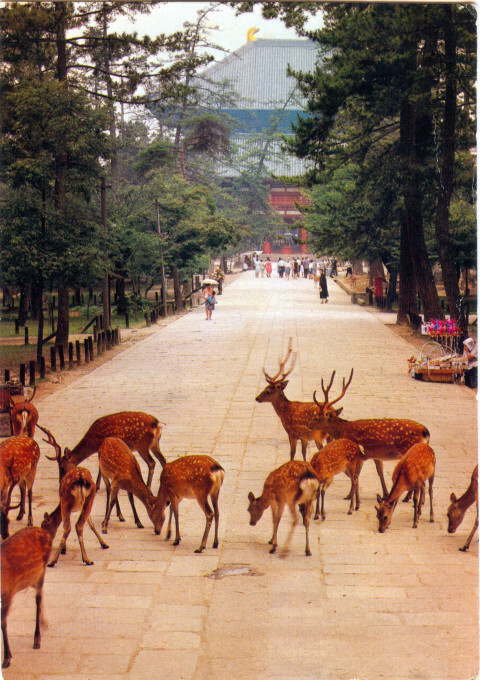 Sacred deer at Nara, c. 1950. 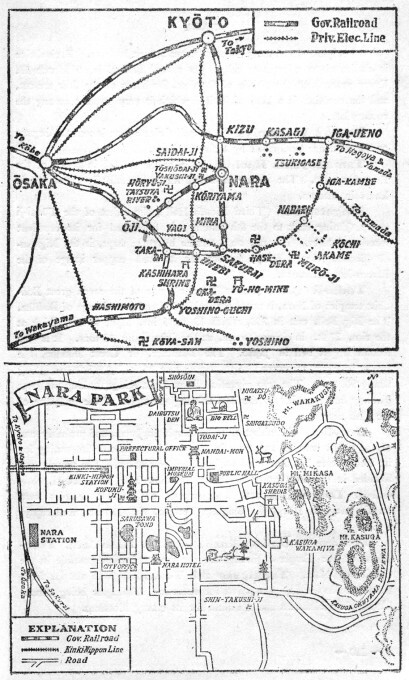 From the wiki: “Developed by the Cabinet Railway Authority of the Japanese Imperial Government Railways, designed by Tatsuno Kingo (who also designed Tokyo Central Station) and opened on October 17, 1909, the Nara Hotel is one of the most historic hotels in Japan. Constructed of a Momoyama Period-style design, the hotel sits like a palace atop a hill on the south edge of Nara Koen [park] with its sacred deer. It has been visited over the years by many historical figures and dignitaries, including Bertrand Russell, Sergei Prokofiev , Edward VIII, Albert Einstein, Charlie Chaplin, and Helen Keller. 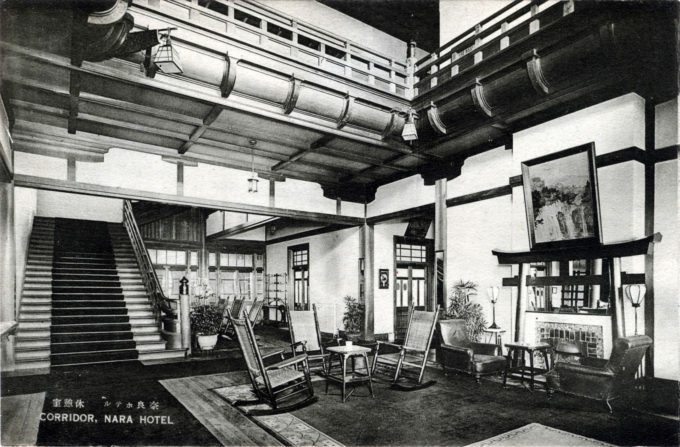 The Nara Hotel still retains the dignified splendor of the age in which it was founded in a quiet corner of Nara Park over a century ago. 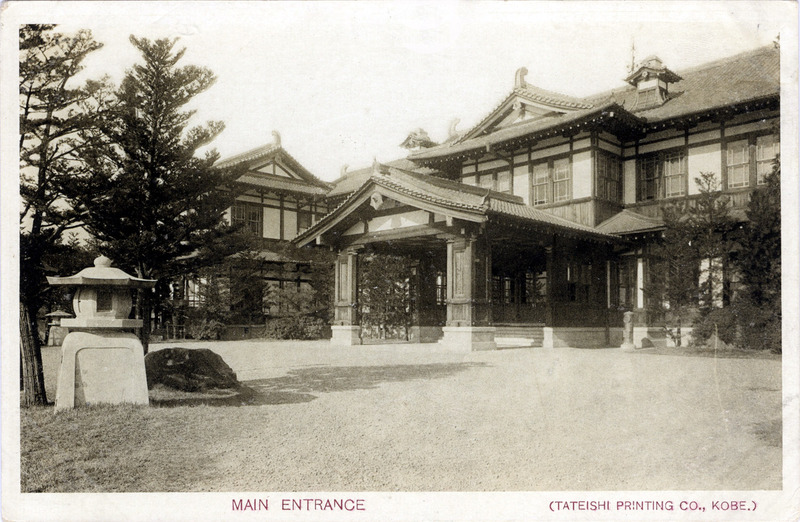 Entrance, Nara Hotel, Nara, c. 1920. 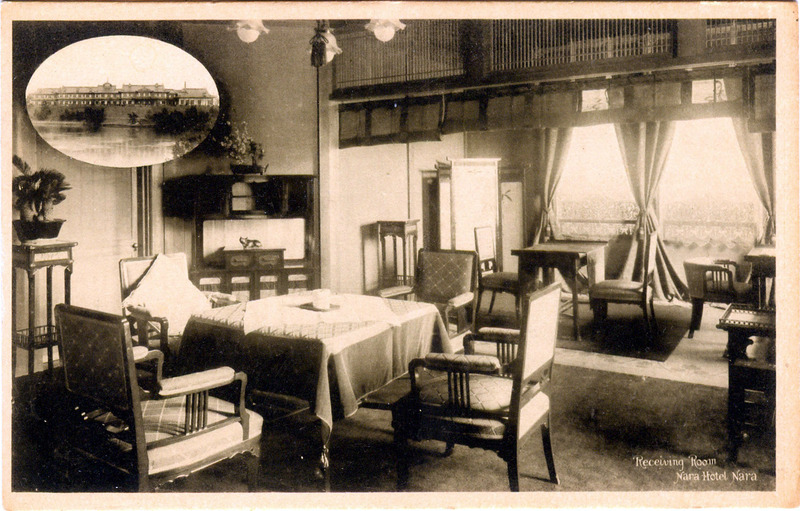 Receiving room, Nara Hotel, c. 1920. Corridor, Nara Hotel, c. 1920. 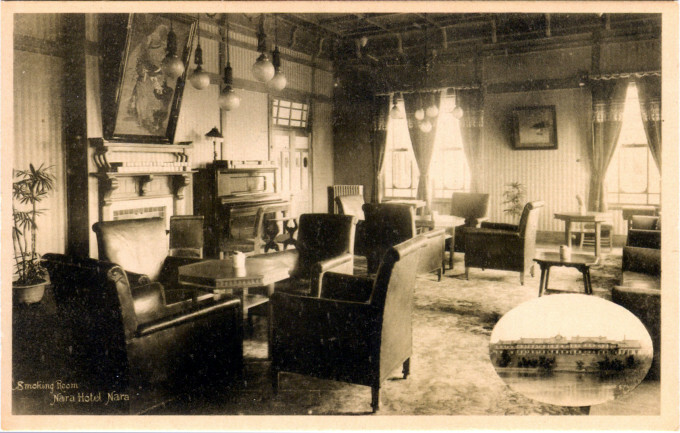 Smoking room, Nara Hotel, c. 1920.